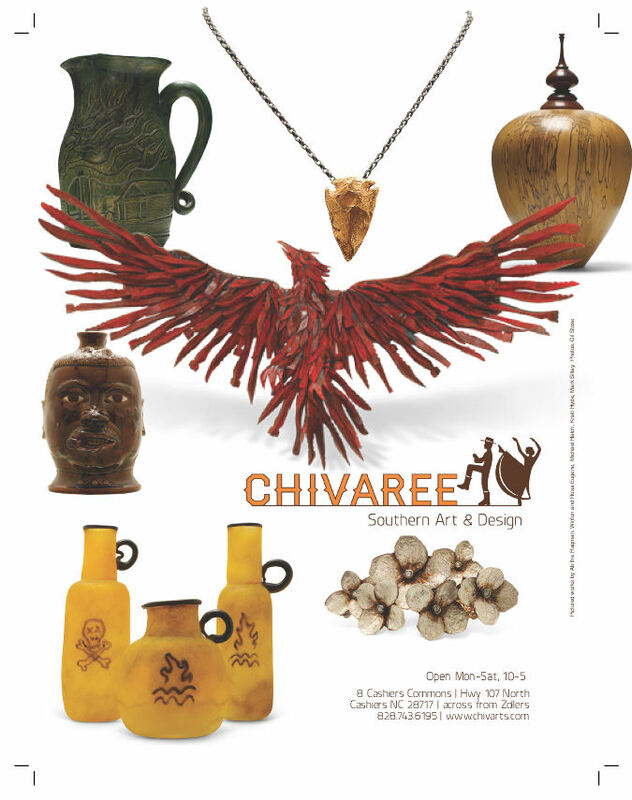 I opened Chivaree gallery in Cashiers, NC, in May of 2012. My first ad appeared in the June 2012 issue of the Highlands-Cashiers Laurel and the 2012 Season Program for the Highlands-Cashiers Chamber Music Festival. Shown is the work of Winton and Rosa Eugene (pottery), Ab the Flagman (wooden eagle sculpture), Michael Hatch (glass “firewater jugs”), Mark Sillay (woodturning) and Kristi Hyde (jewelry). Photography and layout by Gil Stose. Chivaree is also on Facebook.